Noting the organization's tremendous growth over the past year, Glen Head Glenwood Business Association President Tucker Tongue said at this past Wednesday's monthly meeting, "I think its time for a name change." The GHGWBA's umbrella now covers not only its namesake hamlets but also Greenvale and nearby areas of Glen Cove as well as Sea Cliff, which alone has 22 members. Since September 2013, the group's membership has increased three-fold - welcoming 70 new businesses, with Jewels of the Lotus officially becoming its 104th member on Wednesday evening. Mr. Tongue said that he believed the name of the group ought to be inclusive of the areas it represents and encouraged the membership to come up with ideas for a new name, which will be discussed at the January meeting. 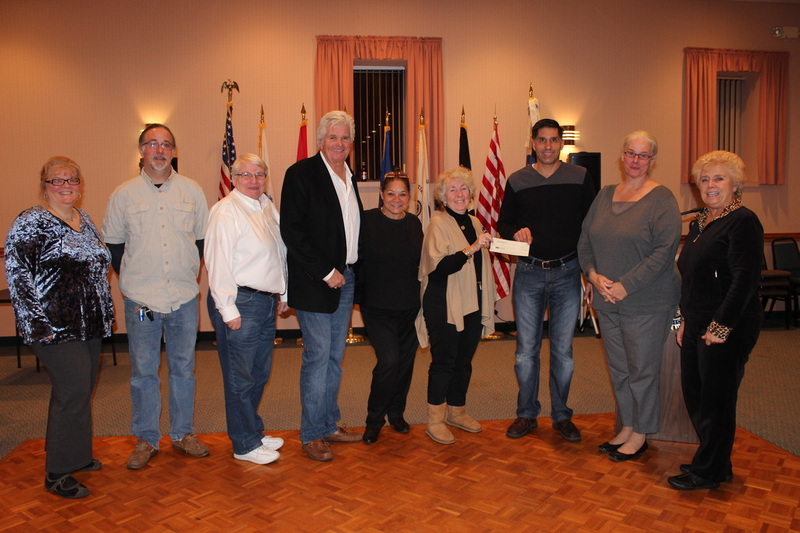 Going beyond the symbolism of a name change, the Association acted on this spirit of inclusiveness by voting unanimously to contribute $500 towards the Sea Cliff Beautification Committee's holiday wreath making operation - a long-standing tradition that enhances the holiday cheer in the village. "The Sea Cliff businesses contribute to us," Mr. Tongue said, "and so the executive board believes it is the right thing to do. The money will be well spent in promoting local business." Mr. Tongue explained that it is an important part of the business association's mission to work with other local organizations and government "to help beautify the local area" which he continued, not only improves the business climate, but is beneficial to the community as a whole. He noted that the Association spearheaded the effort to beautify the parking area and plaza on Glen Cove Avenue across from Ralph's. Additionally, this past year the group sponsored a program to enable residents and businesses to "Adopt a Flag" for display in the business district on Memorial Day and Independence Day. The group also prepares snowflakes that are illuminated and hung from street lamps during the holiday season - a tradition that has continued for more than 30 years. Sea Cliff Beautification Committee President, Sally Davies was on hand to accept the generous donation and to thank the group. She explained the important contributions the committee makes to the village in beautifying parks, the business district and other open spaces. Click here for the Glen Head Glenwood Business Association's website.